Do Hedge Funds Love Illumina, Inc. (NASDAQ:ILMN)? The Insider Monkey team has completed processing the quarterly 13F filings for the September quarter submitted by the hedge funds and other money managers included in our extensive database. Most hedge fund investors endured a torrid quarter, which certainly propelled them to adjust their equity holdings so as to maintain the desired risk profile. As a result, the relevancy of these public filings and their content is indisputable, as they may reveal numerous high-potential stocks. The following article will discuss the smart money sentiment towards Illumina, Inc. (NASDAQ:ILMN). Illumina, Inc. (NASDAQ:ILMN) shareholders have witnessed an increase in activity from the world’s largest hedge funds lately. At the end of the third quarter, there were 45 smart money investors with long positions in Illumina, Inc, up by 7 from the previous quarter. Despite this recent enthusiasm for the stock, it still hasn’t attracted many of the wealthiest managers out there. 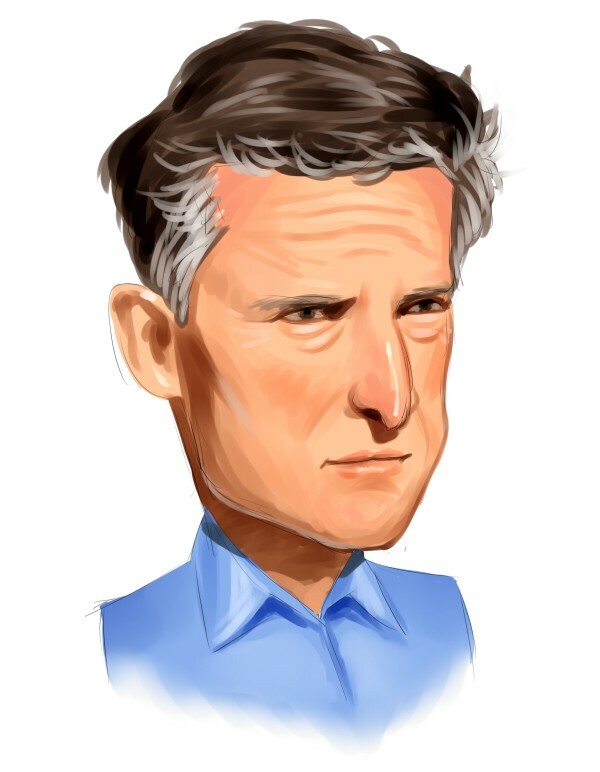 (To see which stocks did, take a look at the list of 30 stocks billionaires are crazy about: Insider Monkey billionaire stock index.) This data is insufficient for us to make a final conclusion on the stock and whether it is worth your attention or not. Which is why, we’ll continue to examine it further in the article. In the financial world there are dozens of signals stock market investors can use to size up publicly traded companies. A pair of the most under-the-radar signals are hedge fund and insider trading interest. We have shown that, historically, those who follow the best picks of the best money managers can outperform the broader indices by a significant amount (see the details here). “Illumina: ILMN shares also rallied, advancing 31%, in response to impressive quarterly results that continue to indicate the enormous long-term growth opportunity in the emerging DNA sequencing industry. The company posted record revenue of $830 million, up 25% and ahead of expectations, driven by 35% growth in sequencing consumables. This consumables growth was strong across all three types of sequencing categories, evidencing the broad-based adoption of the platform. The company also posted strong operating leverage with gross margins (70.4%) and operating margins (28.5%) much better than expected. Additionally, management raised 2018 revenue guidance from 15%-16% to 20% growth and EPS growth from 19%-21% to 34%-36%. Even though River Park shares the enthusiasm for the company, we are still not confused, which is why we’ll now go over the latest hedge fund action encompassing Illumina, Inc. (NASDAQ:ILMN). What have hedge funds been doing with Illumina, Inc. (NASDAQ:ILMN)? At Q3’s end, a total of 45 of the hedge funds tracked by Insider Monkey were long this stock, a change of 18% from one quarter earlier. 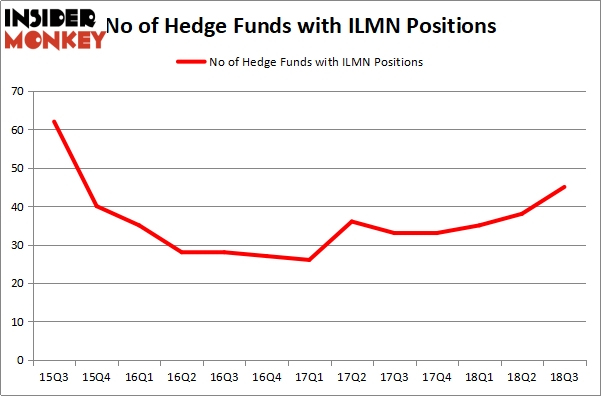 Below, you can check out the change in hedge fund sentiment towards ILMN over the last 13 quarters. So, let’s examine which hedge funds were among the top holders of the stock and which hedge funds were making big moves. According to publicly available hedge fund and institutional investor holdings data compiled by Insider Monkey, Viking Global, managed by Andreas Halvorsen, holds the number one position in Illumina, Inc. (NASDAQ:ILMN). Viking Global has a $141.4 million position in the stock, comprising 0.8% of its 13F portfolio. On Viking Global’s heels is Hitchwood Capital Management, led by James Crichton, holding a $110.1 million position; 1.6% of its 13F portfolio is allocated to the stock. Other peers that are bullish contain Israel Englander’s Millennium Management, Samuel Isaly’s OrbiMed Advisors and Ken Griffin’s Citadel Investment Group. Consequently, specific money managers were leading the bulls’ herd. Element Capital Management, managed by Jeffrey Talpins, assembled the largest position in Illumina, Inc. (NASDAQ:ILMN). Element Capital Management had $12.7 million invested in the company at the end of the quarter. Benjamin A. Smith’s Laurion Capital Management also made a $12.7 million investment in the stock during the quarter. The other funds with new positions in the stock are Brad Dunkley and Blair Levinsky’s Waratah Capital Advisors, David Costen Haley’s HBK Investments, and Brian Ashford-Russell and Tim Woolley’s Polar Capital. Let’s now review hedge fund activity in other stocks similar to Illumina, Inc. (NASDAQ:ILMN). These stocks are Shire plc (NASDAQ:SHPG), Express Scripts Holding Company (NASDAQ:ESRX), The Estée Lauder Companies Inc. (NYSE:EL), and Boston Scientific Corporation (NYSE:BSX). This group of stocks’ market values are closest to ILMN’s market value. As you can see these stocks had an average of 54 hedge funds with bullish positions and the average amount invested in these stocks was $4.22 billion. That figure was $1 billion in ILMN’s case. Shire plc (NASDAQ:SHPG) is the most popular stock in this table. On the other hand The Estée Lauder Companies Inc. (NYSE:EL) is the least popular one with only 36 bullish hedge fund positions. Illumina, Inc. (NASDAQ:ILMN) is not the least popular stock in this group but hedge fund interest is still below average. This is a slightly negative signal and we’d rather spend our time researching stocks that hedge funds are piling on. In this regard SHPG might be a better candidate to consider a long position. Is Ulta Beauty, Inc. (NASDAQ:ULTA) A Good Stock To Buy? Hedge Funds Are Dumping C.H. Robinson Worldwide, Inc. (NASDAQ:CHRW) Hedge Funds Are Underwhelmed by Sanofi (SNY)’s Growth Prospects Is Old Dominion Freight Line, Inc. (NASDAQ:ODFL) A Good Stock To Buy? Billionaire Ken Fisher is Betting Big on this Japanese Banking Giant Is It Time to Follow Hedge Funds Into BP p.l.c. (BP)?